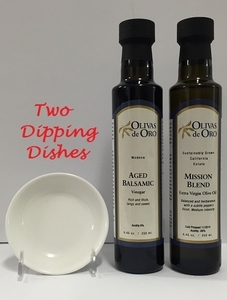 Our favorite dipping combination! 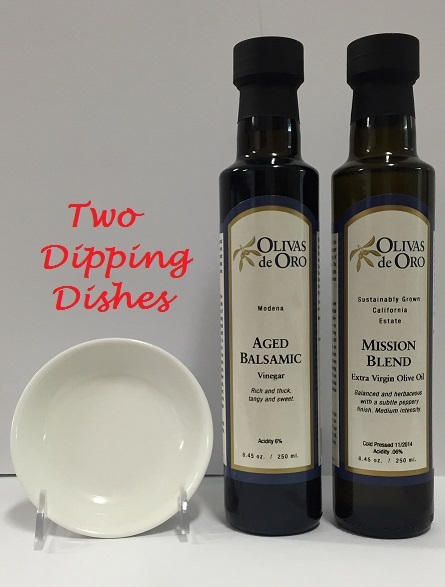 Mission Blend Extra Virgin Olive Oil and Aged Balsamic. Plus as a special 3rd day of Christmas, we'll add 2 free dipping dishes. You need to supply the French bread!